Besides the gorgeous beaches, Gold Coast has a lot to offer. From taking a day trip to the beautiful Hinterland, chasing after whales and dolphins on a cruise, to going on the hot air balloon – there are plenty to do in Gold Coast. If you are planning a trip there soon, read on to find out some recommendations – things to see, do, and eat – when you are at Gold Coast. Gold Coast, famous for fun! Gold Coast is known for many things, but having good restaurants was never one of them. However, that has changed in recent years as you can find fine dining restaurants such as Salt Grill at Hilton and Seaduction at Sea Temple. Apart from that, I also had one of my best meals of the year at Black Coffee Lyrics, an uber-chic cafe/bar in the heart of Surfers Paradise. There are lots of good food in Gold Coast, but I will leave that for another day. When we were there, we joined a Hinterland day tour by Southern Cross 4WD Tours (Tel: 07 5574 5041). While you can easily drive yourself, I’d suggest joining a day tour as it is a hassle-free to explore the huge area with the help of those who know it best. Our guide, Royd, was witty and knowledgeable and we had a great time. From visiting the nature parks; to learning how to throw a boomerang; having a simple, but great lunch at a beautiful camping site; appreciating wine at a local wine-maker; and spotting wallabies by the roadside – we did so many things within a day. Gold Coast, famous for fun, famous for theme parks. Dreamworld, Seaworld, Wet ‘n’ Wild, and Warner Bros Movie World are attractions that you must not miss in Gold Coast. 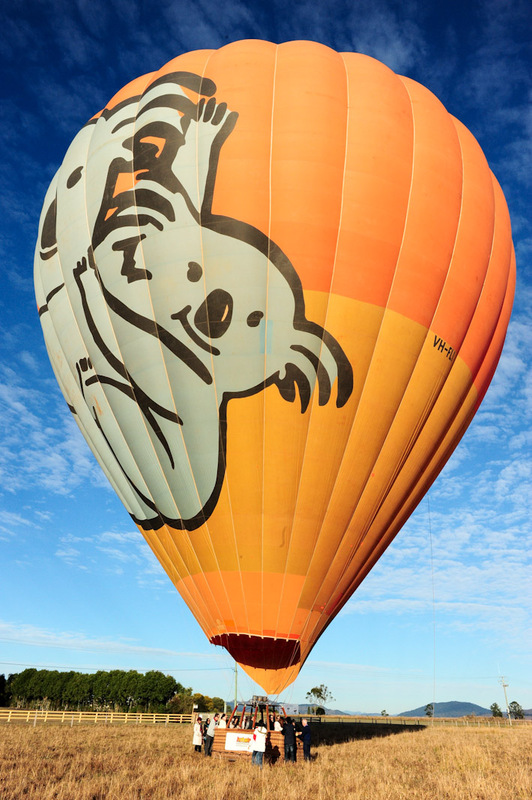 re you sign up for a hot air balloon trip when you are there. Trust me, it’s totally worth your while to wake up at 4am to catch the sunrise and beautiful scenery. The whale watching season is typically from May to Oct, so if you ever find yourself visiting Gold Coast during this period, be sure to have a taste of this exciting adventure. Whale watching is an activity which depends on luck. If you are fortunate, the whales will swim near to the boat and you can capture some nice photos. During our trip, we only managed to spot a few whales from far. Gold Coast, one of the most popular holiday destinations in Australia, is surfers’ paradise. The reason why many people visit Gold Coast over and over again is because it has one of the most beautiful beaches in the world. Enough said. Scoot has a promotion to fly from Singapore to Gold Coast for only S$400+. Book your tickets and have a great time! Full Disclosure & Fine Print: I travelled to Gold Coast as a guest of Scoot Airlines and Tourism Queensland. No monetary benefits were received, only air tickets and hotel accommodations were sponsored.